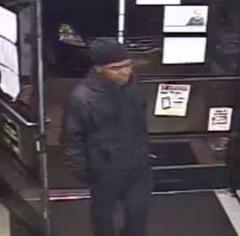 Investigators of the Jackson Police Department are investigating an Aggravated Robbery that occurred at the Dollar General Store located at 1028 Campbell Street. The Jackson Police Department need assistance identifying this suspect. 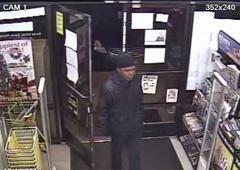 At approximately 6:45 p.m., December 11th, a black male dressed in all black is captured on surveillance video robbing the Dollar General. The suspect was also described as having bad teeth. The suspect handed the cashier a note advising he was armed and that he wanted money from the register. The suspect robbed the store of an undetermined amount of cash. He was last seen leaving the store headed in an unknown direction. 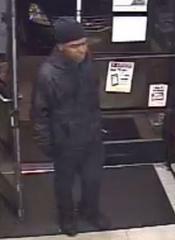 If anyone can identify this suspect contact the Jackson Police Department at 731-425-8400 or Crime Stoppers at www.jmcrimestoppers.org or call 731-424-TIPS (8477).